First let me preface this was not my idea. It actually was a reader of mine. 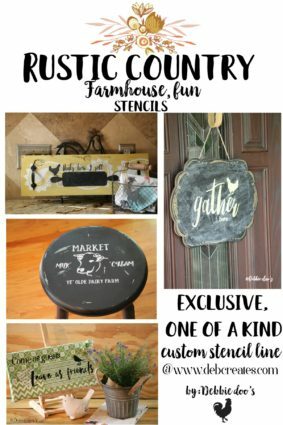 One of my readers named Judy came on my facebook page and asked me if she could use the farmhouse cow stencil on a pumpkin. My answer was, I don’t know. I said perhaps if the pumpkin was large enough, but it may be tricky because of the grooves in pumpkins. Well, that answer did not sit well with me. I should know if the stencil would work on a pumpkin. So with that said, I gave it a go today. 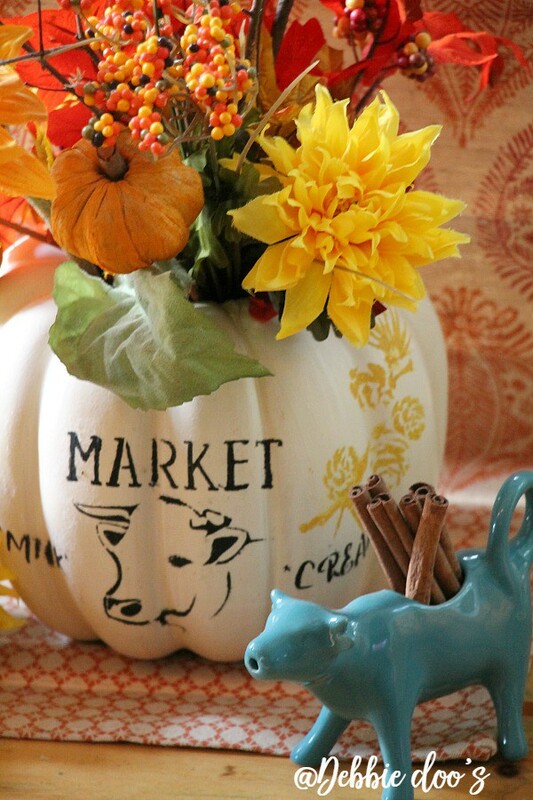 Today, I am sharing a farmhouse pumpkin centerpiece idea. It was definitly a little tricky. The key was to use the spray adhesive to be sure it stayed in place. I wasn’t able to do the bottom part of my stencil because the letters were too small and they wouldn’t turn out well. The pumpkin is medium size. First thing I did was use my pumpkin carver specifically used on faux pumpkins. 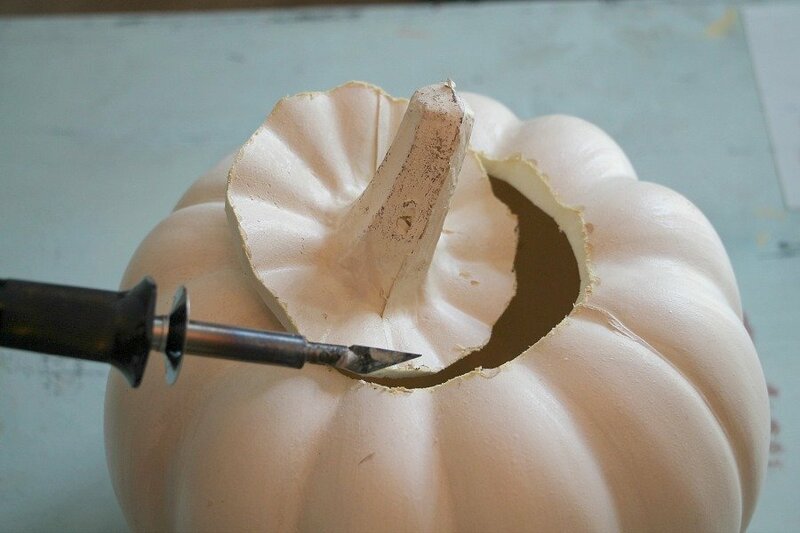 You can read all about how to carve a faux pumpkin here. I have used this tool a few times now and it works great. It’s a little intimidating but you get the hang of it pretty quick. I carved out the top first. Then as mentioned I sprayed the back of my stencil with the craft adhesive spray. While I was stenciling I held it down the best I could in places. Overall it turned out pretty well. I had the other little pine cone/branch stencil on hand and I decided to add a little extra. 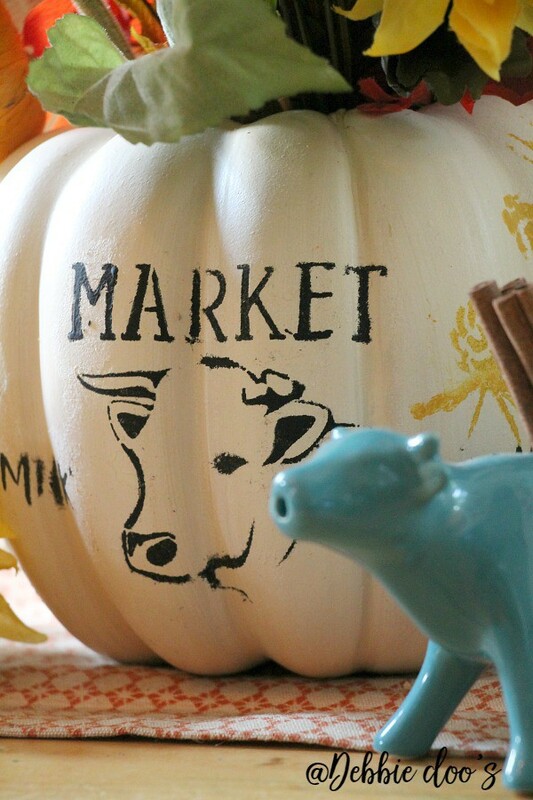 I added in some faux fall foliage and my farmhouse pumpkin stencil is happy here on the kitchen table next to the cute little cow creamer. 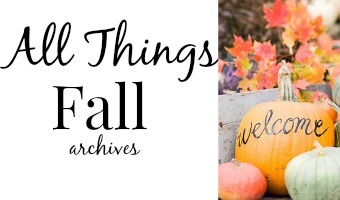 You may check out my All things Fall gallery of ideas too while you are here. Or how about some more pumpkins? clever, I love it. Putting your stencil on the pumpkin just made it. 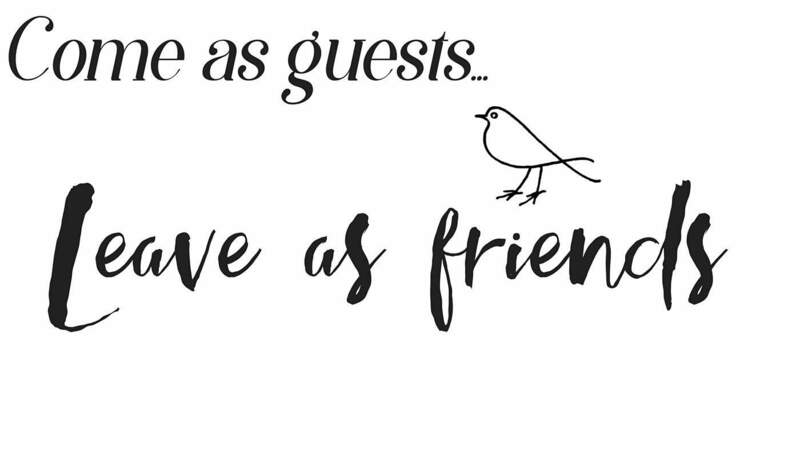 I can hardly wait until I receive my stencils. You come up with simple but great things. I absolutely LOVE this! Thanks, Debbie! 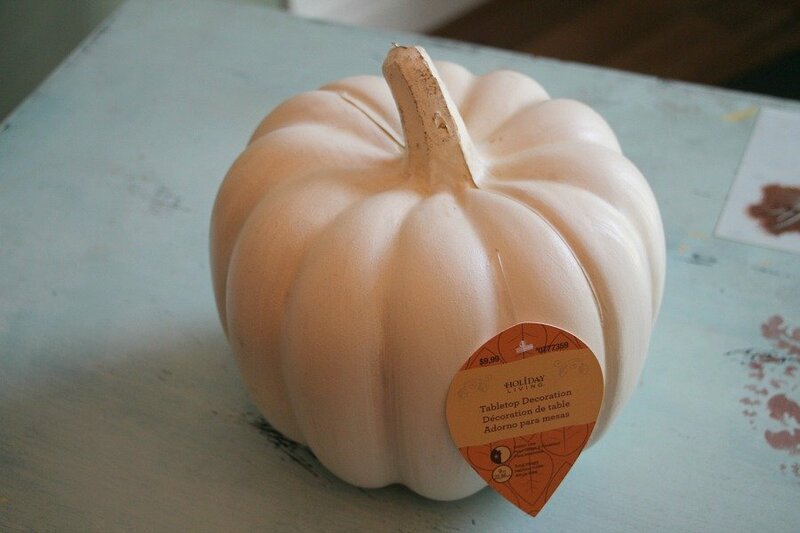 Seriously, that is so cute for a kitchen fall centerpiece!!!! Thanks for sharing. Of course we can! Thank you Laura. That is so cute and I love it with your creamer. Thanks! It’s a cute little combo for sure. Debbie Dear, you are simply the most creative one! 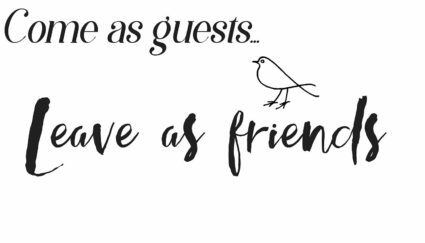 I love your stencils and what you did with the little pumpkin is darling! 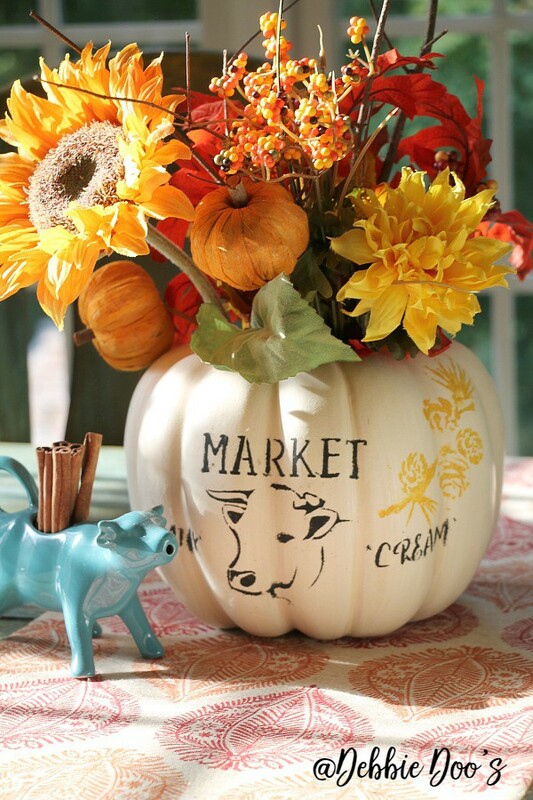 Love the chopped off head of the pumpkin too and the fall flowers poked in! I may have to copy that! Awesome! you are welcome Barbara. Good idea, Judy, and well done, Debbie, for taking the idea and checking it out! Your pumpkin is gorgeous!!! Really looks great and I’m thinking I must try it! Thanks for the inspiration and thanks for being such a “go to it” gal. 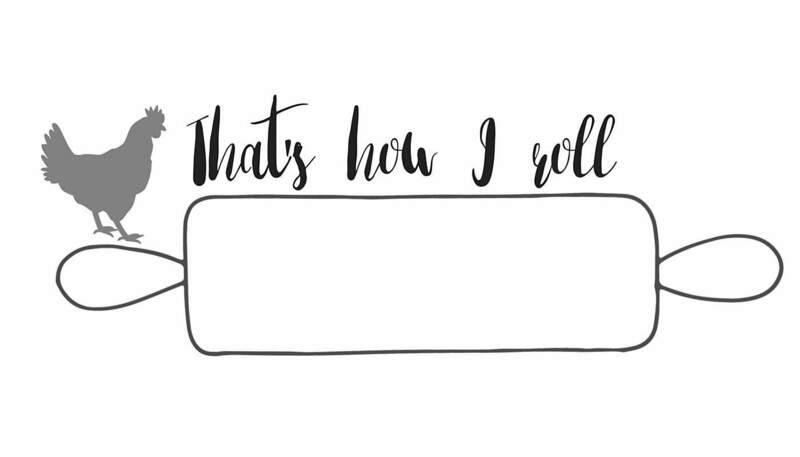 I may not always have time to comment, but I just love your blog! Oh, Debbie, that is so cute! I’m happy you gave it a try so we could see what it looks like. Great idea and great job. Love it Debbie! 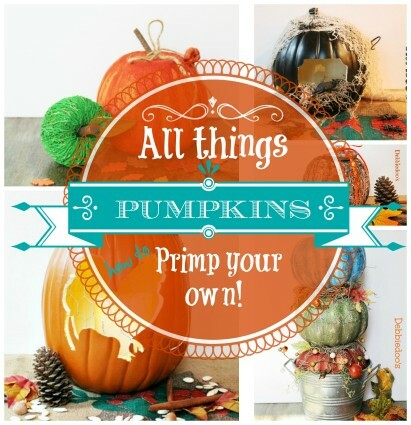 A simple, but cute Fall project! That is such a clever idea! I am definitely going to try this! Now that was a great idea! You pulled it off perfectly, Debbie!